NEED TO TALK WITH A GOLF PACKAGE PRO? "We Know Golf Travel & Golf Travelers Know Us." The Golf Package Pros staff has been traveling the golf world for over 15 years, seeking out unique golf experiences that make us golfers feel lucky to be alive. We’re constantly seeking out new incredible golf destinations, and we have gained some serious golf travel knowledge over the years, and we are ready to pass on our secrets and help you experience the most unique and fun golf packages in the country. 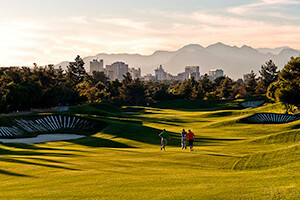 “Are you looking for trusted knowledge about the most beautiful golf destinations on the planet? The GolfPackagePros staff knows from experience where to stay, play, eat and maybe even share a few awesome local secrets? 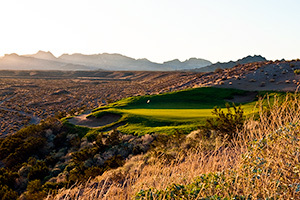 In the remote corners of Nevada, some of the most unique jaw dropping golf courses in the Southwest await your next golf adventure. We’ve been the #1 booking company in Mesquite for 15 years! 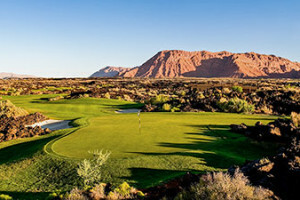 Dazzling red-rock cliffs, coral-pink colored sand dunes and rugged black lava rock provide frames for manicured fairways amidst the often unreal looking desert landscape. Voted a “Top 20 Buddies golf Trip” – GolfDigest Readers Poll. Enjoy Vegas the right way! We know the ins and outs of how to do Vegas without all the fuss. We can give you the top-of-the-line experience, or we can stretch every penny for you. We know our Las Vegas Golf. Ready to experience Golf’s Ultimate Island Green? 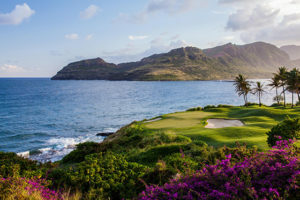 You really don’t know what you’re missing until you have been to the Kauai to play the lush, tropical paradise courses of the Island of Kauai, Hawaii. 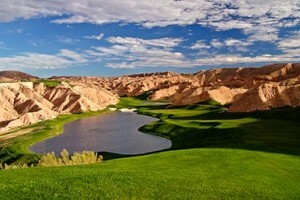 90 Minutes South of Las Vegas, this little town packs a big punch when it comes to up-and-coming great golf destinations. With 8 great golf courses within the general area, this is a huge value golf destination. Laughlin is a hidden gem not many people know about…yet. 9.5 Million People visit Branson, Missouri annually, so that says something about the area! 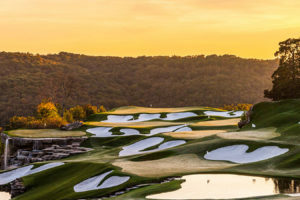 Its time you need to discover Branson Golf Courses for yourself, and see what you have been missing in Beautiful Branson! Thanks again for your time and for making out trip to Mesquite memorable. Wanted to write and thank you for taking care of our golf trip to Mesquite, Nv. The trip was flawless. The lodging was very comfortable and the check-in at the golf courses was easy and efficient. Just wanted to thank you for the great package you set up for us. The golfing was unbelievable and the weather fantastic (not sure if you had anything to do with that). We’re already planning our trip back there in 2016. Need Help Deciding Where to Go On Your Next Golf Trip? GIVE US A CALL, WE CAN HELP YOU DECIDE!